Friday May 8th 5:30 pm food & auction, 6:30 pm performances begin. Our community school is hosting our annual Talent Show featuring performances by our students. Please come and enjoy an evening of delicious food and great entertainment. Bid at the silent auction to win great prizes, gift certificates and fun activities. All proceeds will go to the PTSA’s enrichment fund for programs like the Writers in the School program we hosted this year. We hope you can join us at this event that supports our school and showcases our talented students! Saturday May 9th 10:00 am Forsythe trailhead. Screen Free Week Lego Creativity Contest Entries are due Monday, May 11th between 8 – 9 am. Entries will be on display from 11 am – 1 pm in the gym. The officials will be evaluating the entries from 1- 2 pm and the winners will be announced at 3:30 pm. Whether you are able to join us or not, THANK YOU for all your hard work. You make a difference for our students, teachers and school! Tickets on sale NOW in the office! If your child is interested in trying out Tai Chi, there is still room for students to drop-in on Tuesdays after-school. There are two classes left, May 12 and 19. Please send in the permission slip with your child, and specify which days he/she would like to attend. If you have questions about Tai Chi, please contact Kia Hanning at kia@sleepingdragon.biz or 540-429-2483. The 5th Annual Book Swap Is Coming!! What do you do with all the old books your child has outgrown??? Clear your book shelves of your unwanted and gently used books. Place them in the bin at the front of the school. The bin is for drop off only. On Wednesday May 20th, everyone will have a chance to choose books from the swap for summer reading. It’s out with the old and in with the new!!! June Soccer Camp is filling up – don’t miss out! 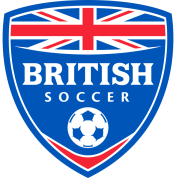 If you are considering registering your child for the June British Soccer Camp, please do it NOW as the camp is getting full! If June 8-12th doesn’t work with your schedule the August 3-7th camp still has openings and you can get your free jersey if you register by June 5th for this August camp. Like in past years both of these soccer camps are led by British soccer coaches, and programs are available for kids from ages 3 -16. Did you watch the soccer World Cup in Brazil last summer? If you caught the Brazilian spirit, don’t miss this year’s new camp. 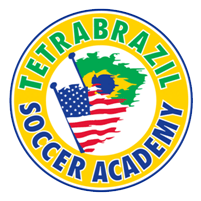 From July 20-24th the CCCP&RD will be adding a new program, Tetra Brazil Soccer Academy, for 10-16 year old soccer players . This camp focuses on technical development, and is led by Brazilian coaches that bring an authentic taste of the flair, passion and creativity of Brazilian soccer. Kids can sign up for one, two, or three weeks of camp at www.challengersports.com. Questions? 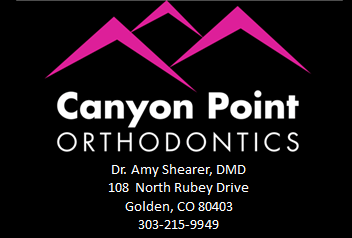 Contact Gwen Burak at gwenburak@wispertel.net or 303-642-9475. In the May monthly meeting, the membership voted to keep the current PTSA board on for next year. However, we are looking for a Co-Treasurer to serve with Stephanie Rosario. This person would split the duties of the treasurer, including tracking expenses and revenue, drafting payments, and completing annual paperwork. The estimated time commitment averages 2 – 4 hours a month. Since funding opportunities is such an important part of our work, this is an important job. As a bonus, it is a great opportunity to develop professional skills around financial management. We are also looking for a Health & Wellness Committee Chair. This person is responsible for driving the Health & Wellness program throughout the school year, including Screen Free Week, Health & Wellness Week and various Health & Wellness nights. This chair partners with school staff to make sure that our kids have opportunities to experience a healthy lifestyle and adopt healthy habits. This is a very influential position to the wellbeing of our school and students, so it is an important role. Stay tuned in future Friday Notes and PTSA member emails for more information on upcoming programs. If you have any questions, comments, suggestions, concerns, please feel free to contact me.